Trainer Jason Warren has Brooklyn Hustle heading to the Blue Diamond Fillies Prelude at Caulfield. Jason Warren has watched the recent Blue Diamond lead-up races and is happy with the position he is in as he prepares to unleash the exciting Brooklyn Hustle in the fillies Prelude at Caulfield. Last Saturday week’s Blue Diamond Previews were won by filly Catch Me and colt I Am Immortal, while Loving Gaby impressed to win the Group Three Chairman’s Stakes at Caulfield on debut on Saturday. Loving Gaby has since joined Brooklyn Hustle as equal second favourite at $6 for the Blue Diamond (1200m) on February 23 behind Catch Me ($4). “She (Loving Gaby) won well, but we’ll see,” Warren said. The Warren-trained Brooklyn Hustle stormed to early Blue Diamond favouritism after winning in dominant fashion on debut at The Valley on December 1. 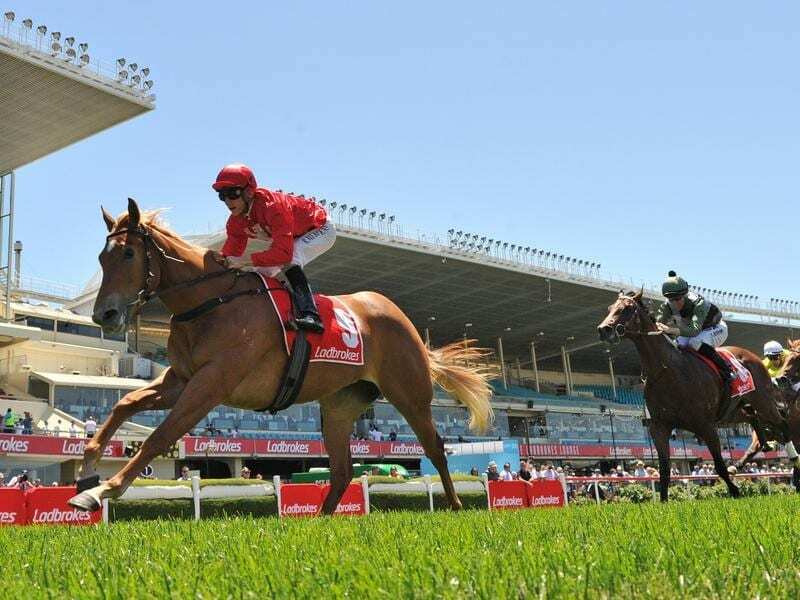 She has since been displaced at the top of the market and she and Catch Me are set to clash for the first time in Saturday’s Group Two fillies Blue Diamond Prelude (1100m). The field is also expected to include Godolphin filly Athiri who is on the fourth line of Diamond betting at $8 and impressed in her debut win in Sydney on the same day Brooklyn Hustle won at The Valley. “It looks like the fillies are better than the colts,” Warren said. “Anthony Freedman’s colt I Am Immortal is obviously smart but he’s got to be a question mark at six furlongs. “I think our girl and a couple of others, we’ll soon see how they measure up. Brooklyn Hustle comfortably won a jump-out at Mornington on Thursday and Warren says she is ready to go, although he plans for the filly to take further improvement into the Blue Diamond. “I was really happy with her trial on Thursday and she’s trained on really well,” Warren said. “Her final gallop will be Wednesday. She’s not trained for next Saturday.